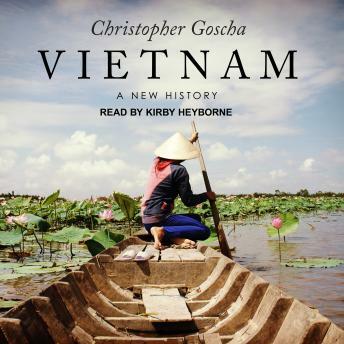 In Vietnam, Christopher Goscha tells the full history of Vietnam, from antiquity to the present day. Generations of emperors, rebels, priests, and colonizers left complicated legacies in this remarkable country. Periods of Chinese, French, and Japanese rule reshaped and modernized Vietnam, but so too did the colonial enterprises of the Vietnamese themselves as they extended their influence southward from the Red River Delta. Over the centuries, numerous kingdoms, dynasties, and states have ruled over what is now Vietnam. Trinh and Nguyen military lords led competing states in the seventeenth century. French colonizers grouped Vietnam with Laos and Cambodia in an Indochinese Union, but governed Vietnam itself as three separate territorial units. The bloody Cold War-era and the American-backed Republic of Vietnam was only the most recent instance when war divided and transformed Vietnam. A major achievement, Vietnam offers the grand narrative of the country's complex past and the creation of the modern state of Vietnam. At a time when more and more visitors come to Vietnam and Southeast Asia is again at the center of intense global rivalries, this is the definitive single-volume history for anyone seeking to understand Vietnam today.